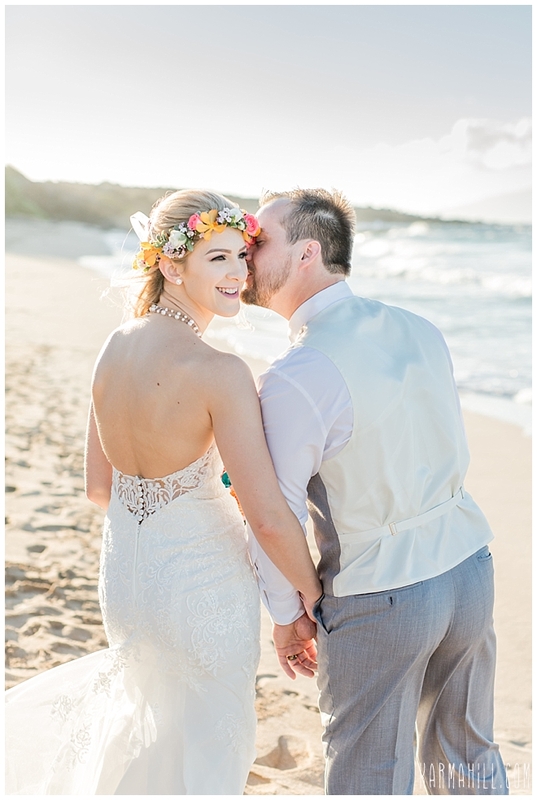 Though they only started dating two and a half years ago, Bellette and Mike have actually known each other since grade school. 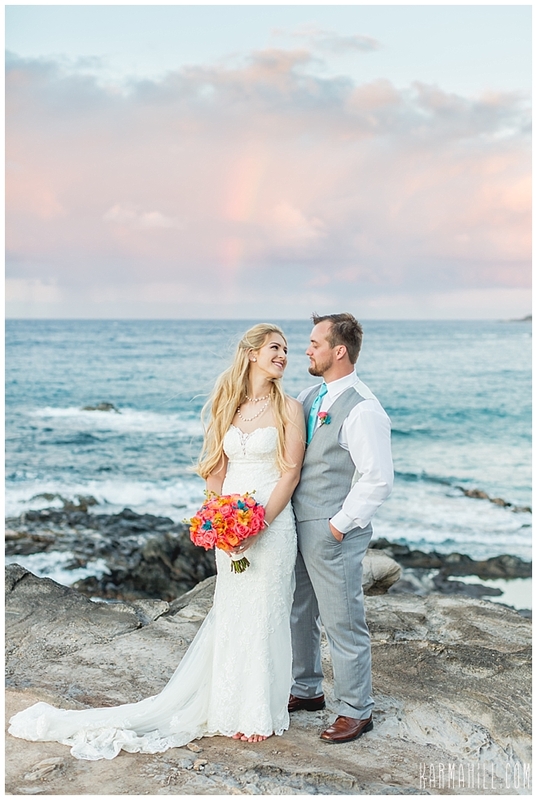 In an incredible memory to keep, this stunning bride recalls having her first slow dance ever with her dashing groom when they were in the fourth grade. 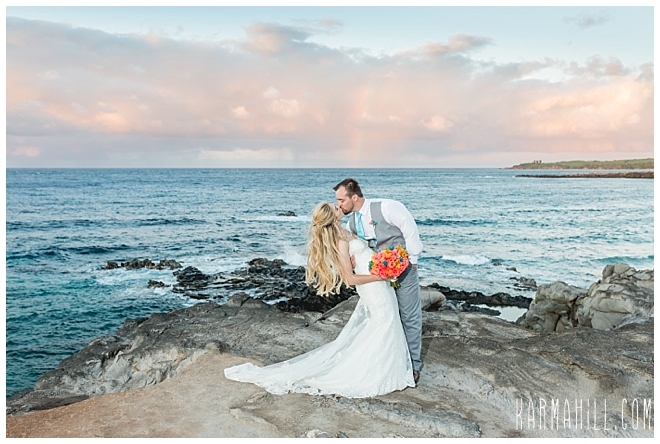 Now, with years having passed and love having bloomed, our new friends from Indiana joined us on the fabulous Kapalua shore for an incredible Maui Elopement. 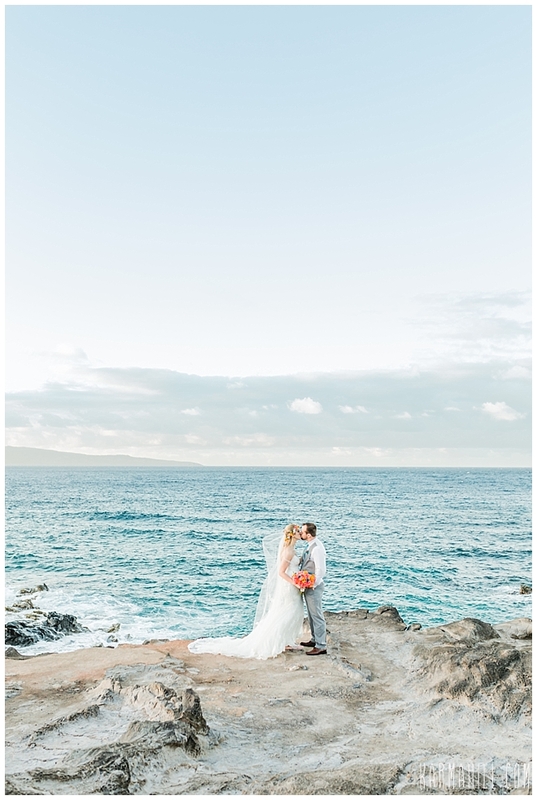 Armed with a custom made bouquet, Bellette joined Mike beside the dancing sea where the two embarked upon a new adventure together. 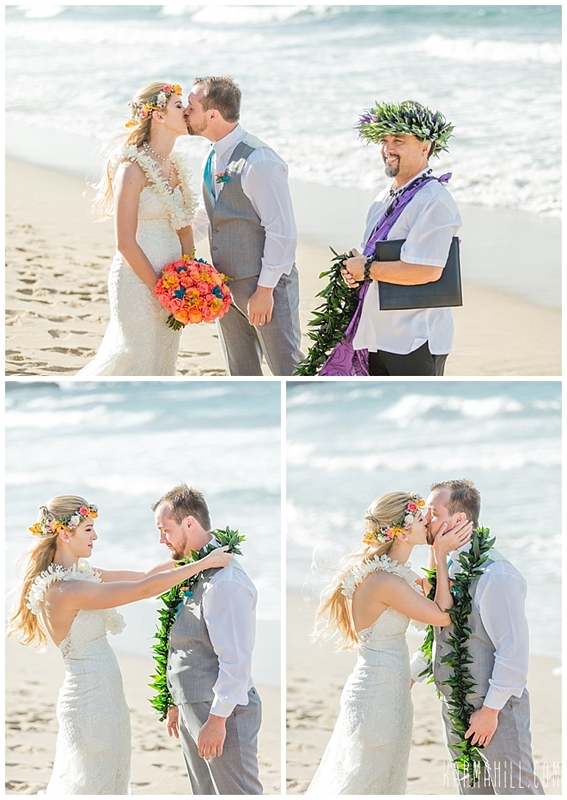 With humor and heart, Rev. 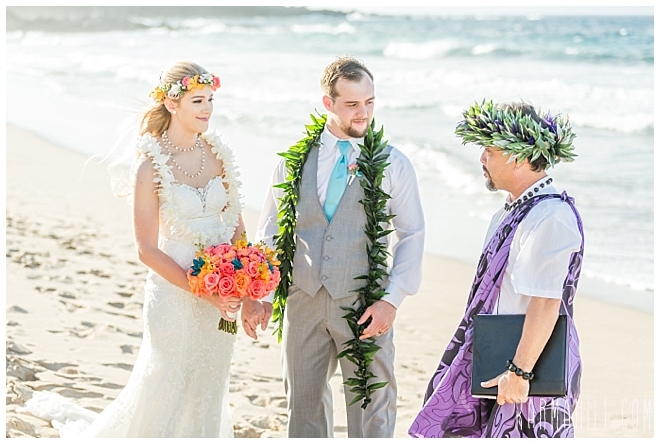 Kimo led them through the language that would find them declared husband and wife afterwards. 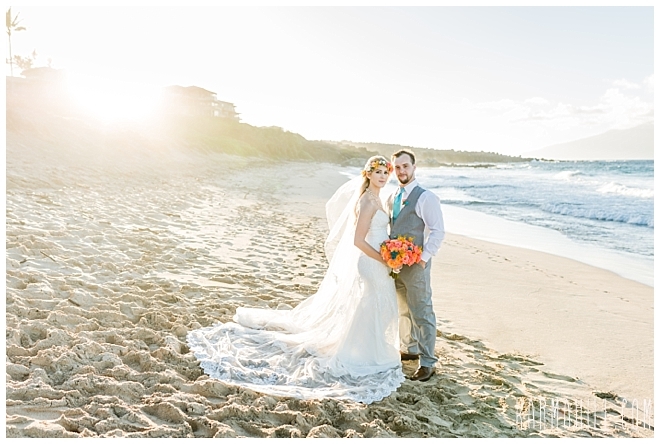 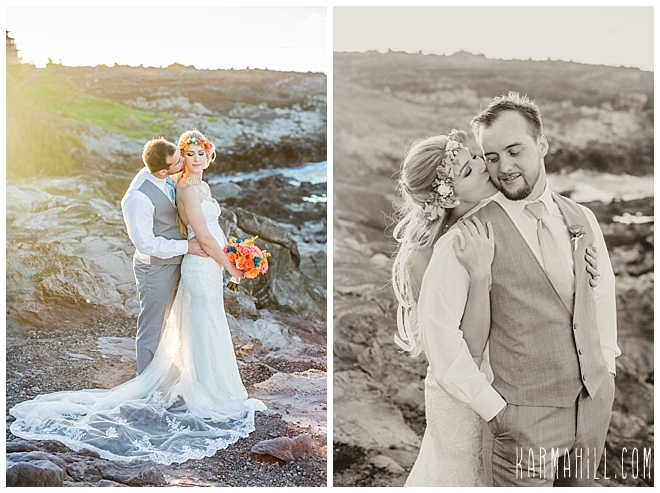 It was a beautiful moment, as the sun melted towards the horizon behind them, and one we are grateful to have shared. 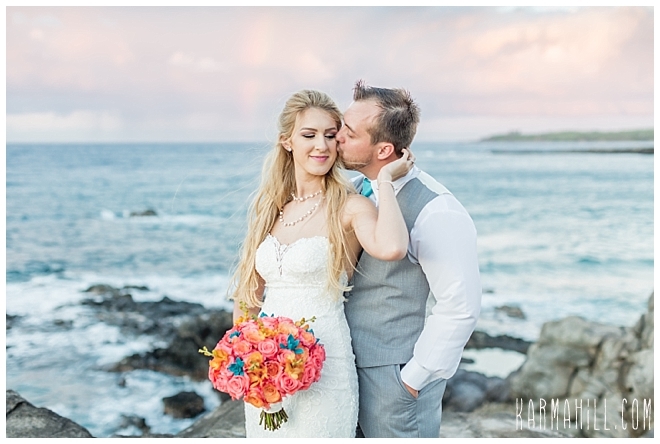 Thank you, Bellette and Mike, for letting Simple Maui Wedding be a part of the magic and joy of this moment. 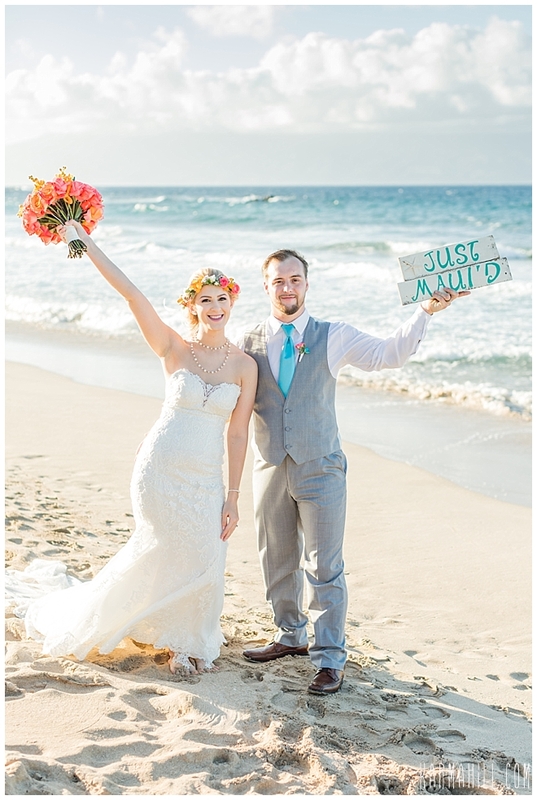 Best wishes for a happy life ahead. 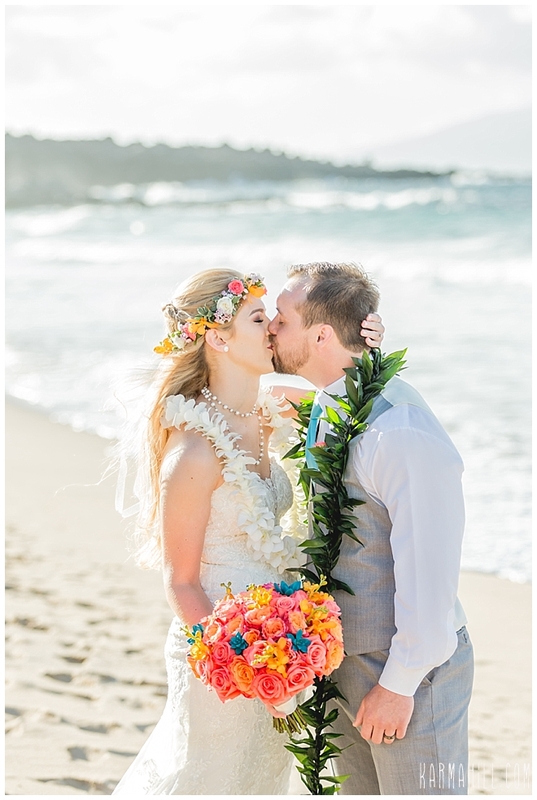 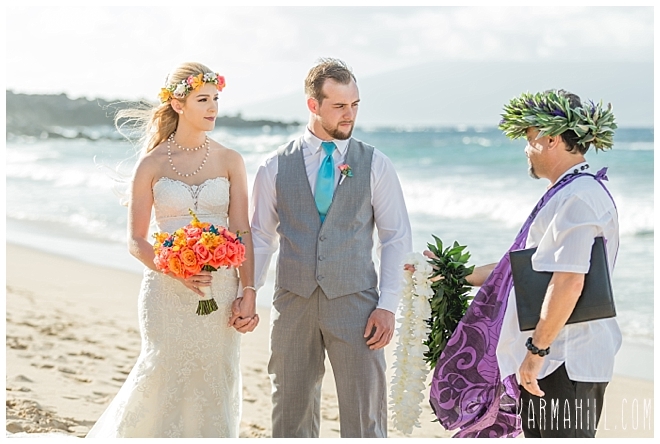 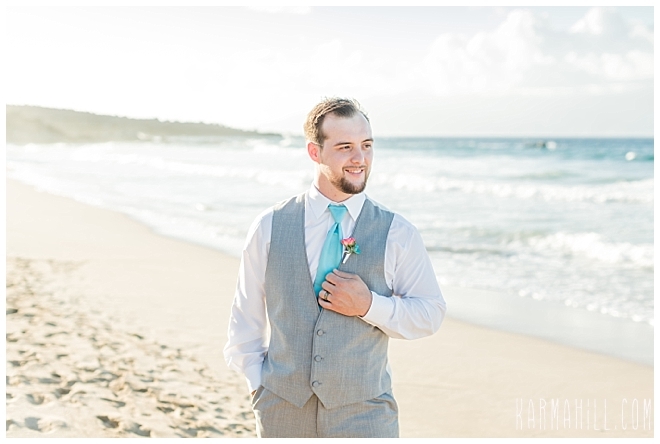 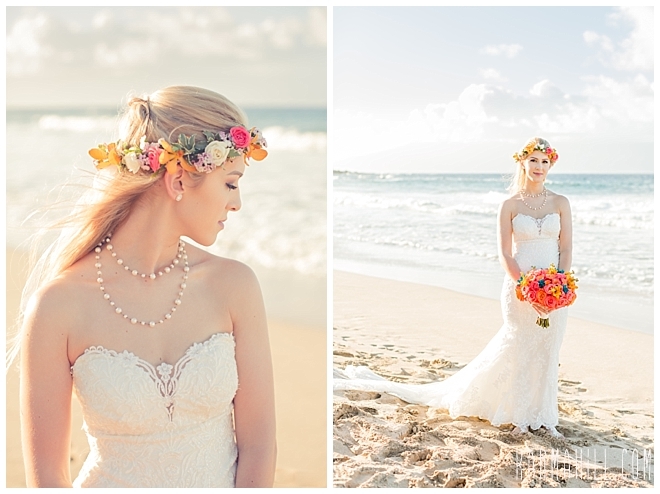 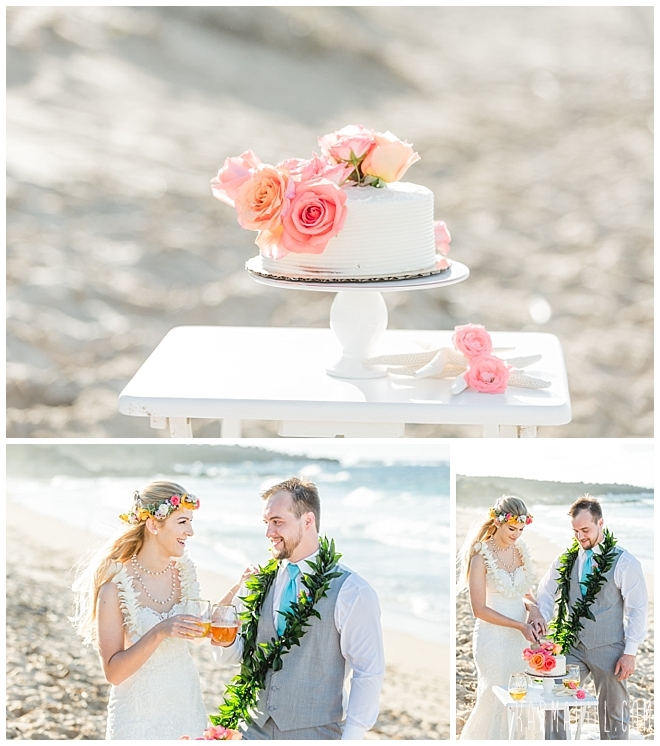 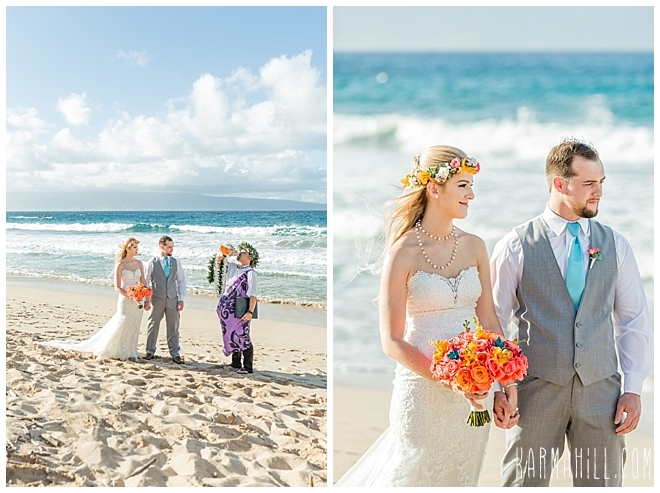 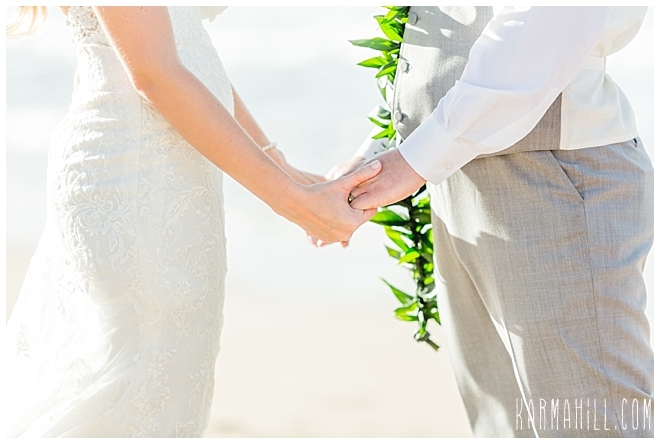 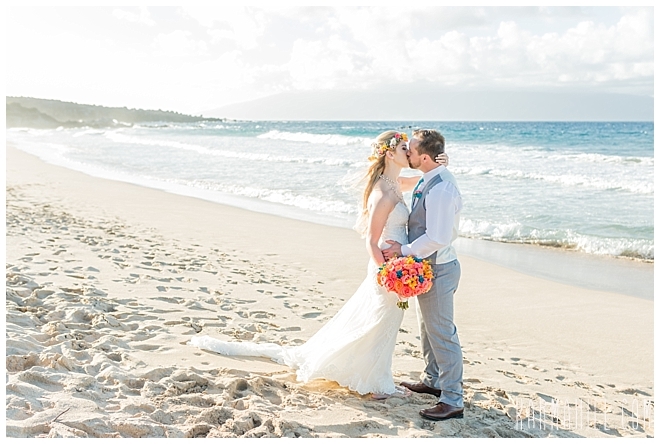 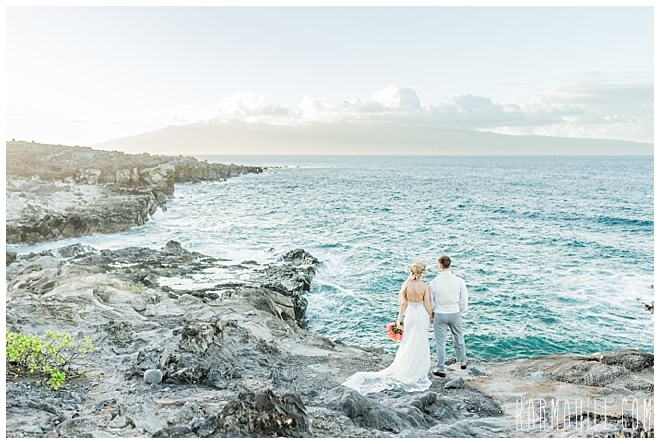 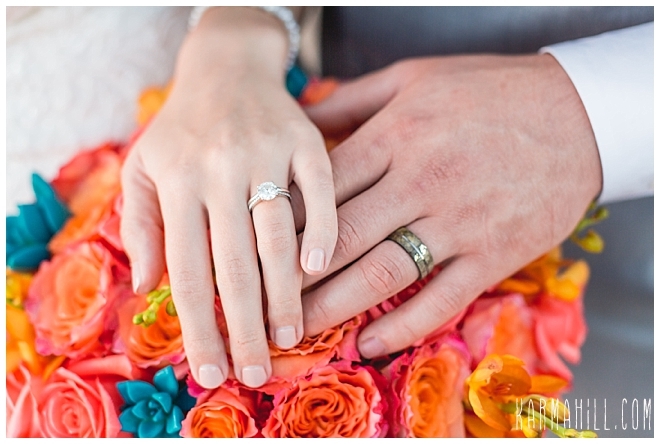 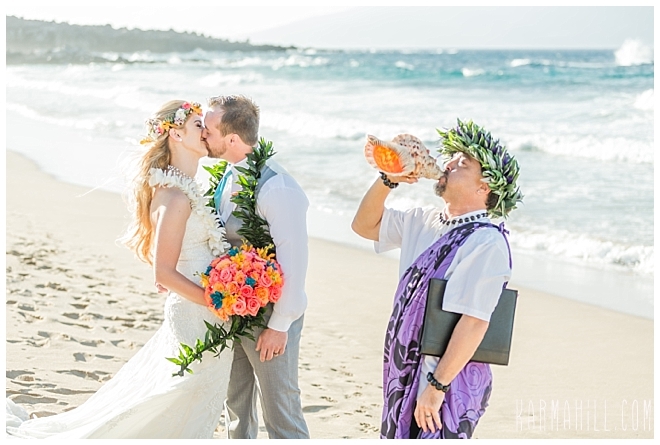 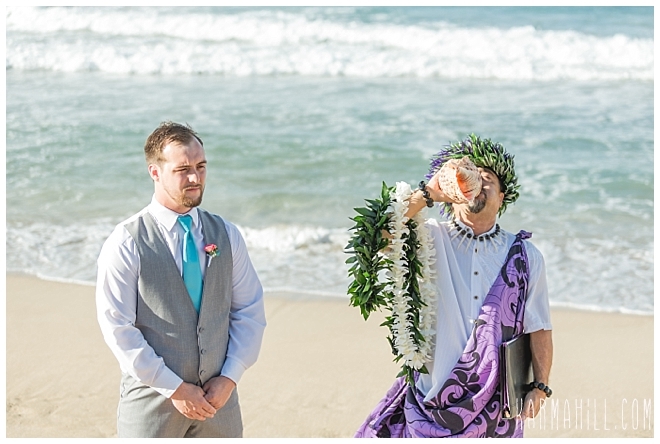 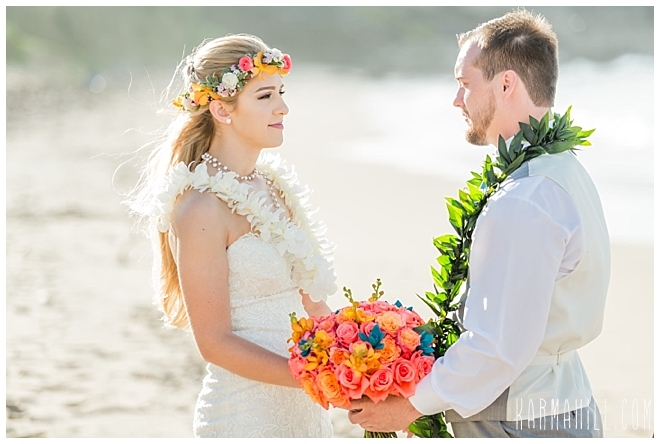 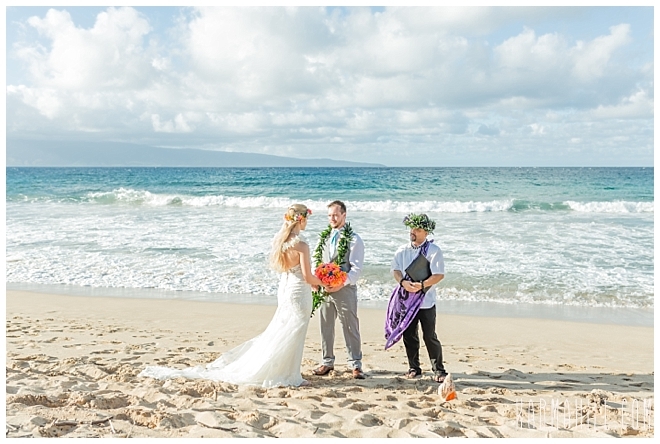 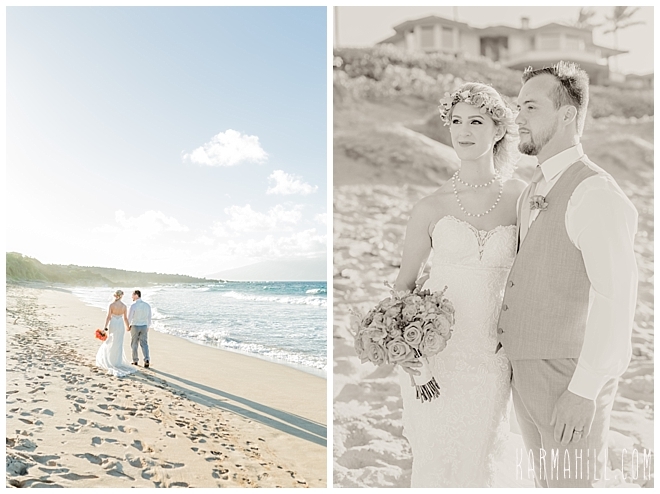 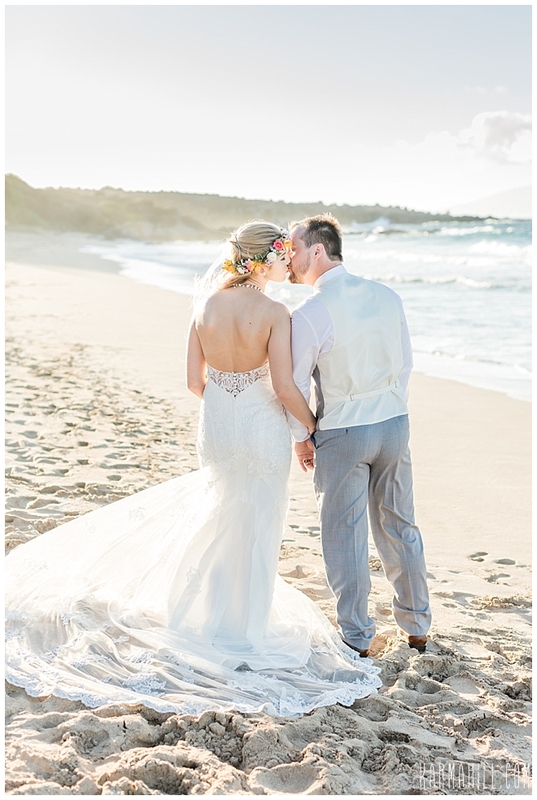 Check out our last Maui wedding with Amy & David!